Doug Sarno opened the meeting at 6:35. Because of the Federal government shutdown, we did not get to conduct our January year in review, so we have put that on tonight’s agenda. Christos Tsiamis, EPA Gowanus Canal Project Manager, presented the updates. To receive NYC’s retention tank plans. In November, EPA was working on a number of designs toward completion, then the government shutdown hit. Because the designs involve a lot of communication between the teams, the Potentially Responsible Parties (PRPs), and the EPA, there is a lot of effort happening now to catch up and get to the completion of the designs. In March and April, the EPA expects to have the complete designs for the sheet-pile wall that runs from Union Street to the top of the Canal on the east side. That sheet-pile wall will prevent the top from coming down the Canal at the Fulton site. EPA and the NYC Department of Design and Construction (DDC) have been working closely on the design for the excavation and restoration of the 1st Street Basin. We expect the design to be completed in the next few weeks (after February 26). By May, EPA expects the design group of the PRPs to submit the 90% design for the cleanup of the upper canal to the top of the canal. According to the 2016 Consent Order, the City of New York is obligated to submit plans for the retention tank at the top of the canal by April, 2019. When Pete Lopez, the Region II Administrator, was at the CAG meeting in November, he spoke about the ,NYC Department of Environmental Protection’s (DEP) proposal to dig a storage tunnel in lieu of the tanks. The EPA understands DEP presented this idea to the CAG during the shutdown but EPA was not present. EPA is evaluating that proposal in depth. Once EPA’s technical team and EPA’s legal team review the plans, they will bring it to the administrator. After that, the EPA will let you know how the project was evaluated and the decision on the tunnel vs. tanks. The idea of tunnels was raised by a PRP. The process and design for the tunnels has not stopped. From time to time, after EPA makes a decision, new ideas come up from EPA or PRPs. When this has happened in the past, EPA has tried some of the ideas that didn’t work and the PRPs still paid. The EPA is evaluating the idea. EPA gets to make the decision, not the City; these issues are complex. DEP thinks of going deep and we think deep before we go. The City now owns the lot at 234 Butler. EPA worked with the NY State Historic Preservation Office on the preservation of this building because the community felt it needed to be considered for preservation. Back in 2017, EPA noted that the building at 234 Butler should be considered for historic preservation. The City’s position was they would preserve certain historical features but the building would be demolished. EPA came up with a way to preserve the entire corner façade – 30 to 50 feet of the Butler Street facing – and there was a draft memo of this in spring of 2018. We received comments from the CAG and lengthy comments from NYC. To preserve in place what EPA wanted would be very costly, and might not keep the building façade safe. The Regional Administrator found a way to satisfy both the City and the EPA, as well as the advisory council for historic preservation. There is a draft decision to preserve those walls. In order to address the City’s concerns about whether it was possible to keep the wall standing, they’re going to dismantle them carefully brick by brick – no wrecking ball – and then restore and rebuild with the pediment and everything and incorporate it in the new head house. What EPA will do is have the responsibility of overseeing the dismantling to make sure it is being done carefully. The time will come when the City will build the head house. Under the agreement, the City has to do it, but how it is integrated involves the community. 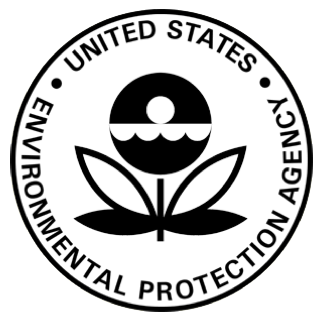 EPA’s mandate does not include architectural elements. The City is going to have to amend the approval so it aligns with EPA work. Please join us for our next General Meeting, on Tuesday, March 26, from 6:30 p.m. to 8:30 p.m., at the Mary Star of the Sea Senior Apartments, 41 1st Street, in Carroll Gardens. All of our meetings are open to the public. The Gowanus Canal Community Advisory Group’s Outreach Committee met on Thursday, March 21, at 9:00 a.m., in the offices of the Fifth Avenue Committee, at 621 Degraw Street. Superfund Town Hall, week of May 27? Wednesday, May 29? CAG meeting on May 28? Sabine will follow up with Dan Wiley and Natalie Loney. High-level Superfund update. Will contact PS133 and Wyckoff Houses about holding May 29. Eric to send current timeline doc to Natalie and ask her to review and suggest updates. Then circle back with Andrea for updating. Eric to draft an email announcement for the Town Hall meeting and a press advisory, once we settle on a date. Sabine has a glossary of terms from FAC’s environmental justice work that might serve as a draft for a CAG version. Does Doug send the draft agenda for CAG meetings to the full CAG email list? Next CAG Outreach Committee meeting Thursday, April 18, 9 a.m. The Gowanus Canal Community Advisory Group’s Outreach Committee met on Thursday, February 21, at 9:00 a.m., in the offices of the Fifth Avenue Committee, at 621 Degraw Street. Memorandum of Understanding moving forward, should have word fairly soon. The tunnel concept presented by NYC DEP is of great interest to the CAG; EPA is still analyzing it, and will let the CAG know once they’ve reached a conclusion. There is a signed agreement between the EPA and NYC regarding the storage tanks. Christos Tsiamis and Brian Carr will be present at the February CAG meeting. Louis Kleinman: there’s a stark difference in cost for the Newtown Creek tunnel vs. the Gowanus tunnel. CAG would like to have a better understanding of the cost differences. Natalie: Layperson’s take is that the land acquisition is more expensive in Gowanus, and that the engineering would be more complicated in Gowanus. Louis: tunnels have surpassed tanks as a remedy around the world because of scalability. People in Gowanus are deeply skeptical of the city’s motives. Newtown plan has always been for a storage tunnel, not tanks. Owner of the Fairfield Inn Hotel is interested in the Gowanus rezoning, and the canal cleanup. Need to coordinate dates between EPA and Dan Wiley. Aiming for April/May. Weeks of April 15 or April 22 or May 28 (Congressional recess those weeks). EPA might be able to cover the cost for using PS133. Weeknight vs. weekend day? Weekends are a challenge for EPA, since that’s outside of regular work hours. Do residents of public housing have a preference? Maybe attend a Gowanus Neighborhood Coalition for Justice meeting to ask? Send a letter to Red Hook East & West, Wyckoff Houses, and Gowanus Houses to remind them that they have a role in the CAG. Natalie will discuss internally whether EPA is comfortable with DEP presenting at the Superfund Town Hall regarding the tunnel concept. Louis: we should do a version of the Newtown Creek Acronyms and Glossary of Terms. Would be great to have available at every CAG meeting for people attending meetings. Louis: public housing representatives should post info about each upcoming meeting on their bulletin boards. Create a one-pager. More timely production and approval of CAG meeting minutes? Something to raise with full CAG. Katia Kelly and Brad Vogel opened the meeting at 6:35 p.m.
NYC Department of Environmental Protection: Presentation on Gowanus CSO Storage Tunnel Alternative to Proposed Gowanus CSO Tanks. In lieu of the Combined Sewer Overflow (CSO) storage tanks. The city has to build two tanks: an 8-million gallon tank at the Head End (RH-34), and a 4-million gallon tank at the Owls Head site to abate OH-007. DEP has met all the EPA Superfund milestones and will continue to do so. The tunnel idea came out of a discussion about other water bodies, Flushing Bay and Newtown Creek, where DEP is pursuing tunnels under those bodies for stormwater, so when looking at those, it occurred to DEP to explore the potential to use a tunnel for Gowanus as well. The tunnel would be a 16-million-gallon, soft-ground tunnel to follow the alignment of the canal. There are assets on the water side, like the pumping station, many built more than a hundred years ago. Very expensive, but built to last. We have to make the right decision when building this kind of thing. At a minimum, the tunnel would hold 16 million gallons – four million more than the capacity of the two tanks – this would give the same solids capture. Reduces CSO RH-34 outfall from about 6 discharges to 4. At Owls Head, it goes from 4 to zero. The tunnel is easier to construct, and has less construction impact. The headhouse would be about the same size as the lot at the RH site. There is no longer above-ground facilities so we can be more flexible with the design of the open space. The cost is estimated at $1.2 billion. The City has already acquired the necessary parcels The timeline would be a little bit longer and the schedule is more aggressive. The tunnel provides a scalable system – we can extend the tunnel further than the alternatives we looked at, and will continue to look at, including following down Second Ave and fixing drainage in Red Hook and Park Slope. The timeframe for completion could be 2030. This follows the rezoning; everyone knows the area is ripe for development. This would help plan for population growth and resiliency. There is street flooding, and occasionally sewer backups. As sea level rises, it is harder to get sufficient flow – the tunnel makes that easier and protects against rising sea level. Doug Sarno opened the meeting at 6:35 p.m.
October meeting summary was approved. September summary still awaiting revisions from Marlene. Happy to be here with you – there will be good tidings in terms of progress. We have completed the 4th Street Basin pilot study, drawn the conclusions on how to proceed – which methods will be used to clean up the canal. Second, 95% design of the Fulton IRM Barrier – the barrier wall from the top of the canal to Union Street to prevent coal tar from coming into the canal and harming it. Completed the design and anticipate receiving 95% design by year end for 1st Street Turning Basin excavation. Right now from technical point of view by spring, we will be able to start the countdown of the clean up in months, not years. The 4th Street Basin pilot project is complete and it is the first time in 150 years a portion of the canal has a clean bottom. The New York City Department of Design and Construction is about to grant approval to proceed with two larger-than-present storm water basins at 9th Street within days or weeks, and those would alleviate flooding, and at point of discharge, the water into the canal there would be treated. Happy to say all these objects that we fished out of the 4th Street Basin will be brought to Public Place – if they’re not already there – and from archaeologist reports, most of the materials are not of archaeological importance on a national level and not preservable for Superfund, but in conversing with the CAG, there is an interest in preserving it as an interest of the community. Tentatively, week of December 10 there will be a viewing by interested members of the CAG for those objects. Arrangements will have to be made by groups interested in obtaining or possessing those objects. Somewhere until the middle or end of January, they will be stored there and then have to be taken. Brian Carr, EPA Site Attorney, noted that within the last month, the city has acquired the properties at the head of canal for the CSO storage tank. The design of a tank for the park is no longer required. The design for the clean up of the park is going to proceed. There should be schedules in the coming six months detailing how long the process will take, including the process and design of the temporary pool or pools. One of the benefits of the fact that the tank will not be in the park is that park clean up will happen faster, and happen in sections, so in the long run, the park will be out of commission for a shorter period of time, and the clean up of the park is a slightly secondary part to getting the Fulton Barrier wall constructed. Pete Lopez is the Regional Administrator for EPA Region II, which includes New York, New Jersey, and Puerto Rico, and eight federally recognized Indian reservations. There is a team of dedicated folks to try to find the best response to legacy contamination as well as clean up CSOs. Administrator Lopez thanked the EPA Gowanus staff present: Natalie, Christos, Brian, Doug in Superfund, Elias, Chris Lyons, and Walter Mugdan, who has spent much of his life on sites like this in Region II. I forget the other location of where I have been here with Congresswoman Velázquez [that location was Wyckoff Gardens 11/16/2017]. Gratitude for the community, not an isolated group here. Acknowledges the city and groups – DCP and DEP – thanks to the PRP National Grid, with the New York State partners DEC and DOH. We are not just dealing with toxic remediation, but also the combined sewer overflows. The New York City Department of City Planning will make an informational presentation of the Gowanus draft zoning proposal to Brooklyn Community Board 6’s Landmarks and Land Use Committee on Thursday, February 26, at 6:30 p.m., at Public School 133, at 610 Butler Street. The meeting is open to the public. Please arrive promptly if you would like to be guaranteed a seat. The U.S. Environmental Protection Agency on February 22nd announced a plan to preserve certain features of the historic Gowanus Station building, also known as 234 Butler Street (pictured below), in conjunction with construction of an underground sewage capture tank at the site the building currently occupies. The Gowanus Canal Community Advisory Group had recently passed a resolution asking that the building be preserved in full if the EPA and New York City agree on the construction of an underground storage tunnel, rather than a storage tank, as the city has proposed. The Memorandum of Agreement between EPA and the New York State Historic Preservation Office only extends to preservation of certain elements of the building’s façade. You can read the EPA’s full press release on its agreement to preserve portions of the building here: Gowanus Butler St Bldg FINAL NEWS RELEASE. Additionally, you can read EPA Region 2 Administrator Peter D. Lopez’s letter to Gowanus Canal CAG regarding the matter here: GowanusCAGfinaltr22219.